Used an existing Marvel Legends ninja as the base. Custom paint job and accessories added. This figure is 6 inches tall and feature multiple points of articulation consistent with Marvel Legends style figures and G.I. Joe 3 and 3/4 action figures. An action figure for the Adult Collector. 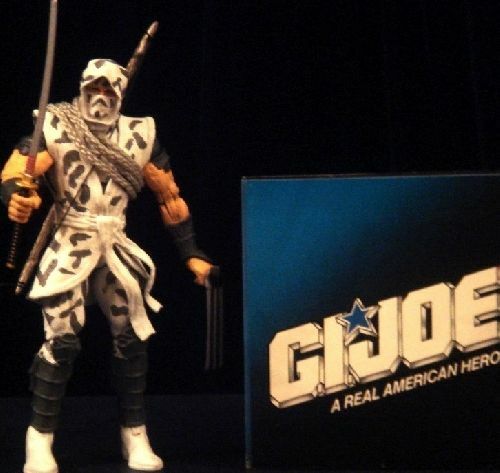 This version is when Storm Shadow changed affiliations from Cobra to GI JOE reminiscent of the 1988 style action figure. Former bodyguard to Cobra Commander and master ninja assassin to Cobra prior to his current defection to GI JOE. He now fights side by side with his brother Snake Eyes who up until this point was his nemesis. (Real name Thomas S. Arashikage)(Arashi = &;Storm; and kage= ;shadow; in Japanese).